Before anything else, thanks to Arkipelago Divers for making this trip possible. As the waters deepen right off from the beach, you can more or less waddle in its waters. This beach is really more for diving. Best way to enjoy this is getting in touch with Arkipelago Divers. 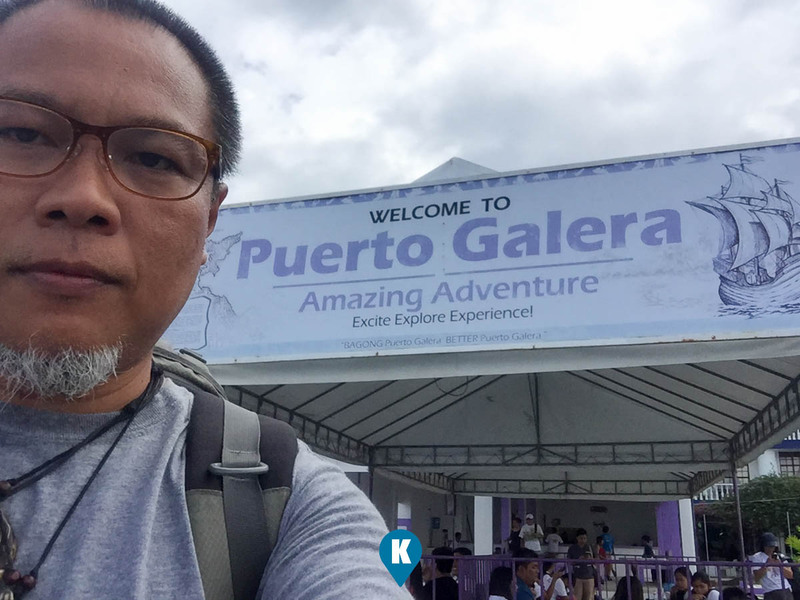 To reach this place, you can get a bus from Cubao or Buendia to Batangas City Pier. 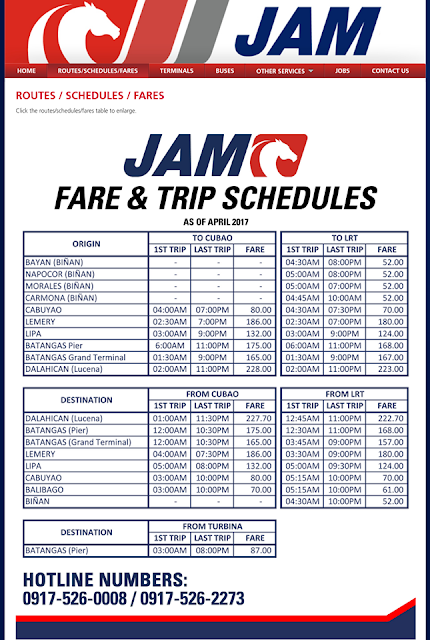 A fare matrix (provided by www.joelandrada.com) is shown herein along with their departure times. Neat huh. I am from the south so there's a bus from Alabang South Station. Fare should be Php127 from Alabang. 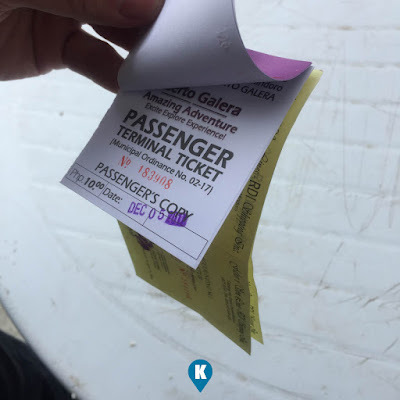 From the Batangas City Port or Pier, you take the Ferry to Sabang Port. There are two shipping lines, Rhealaine and FSL plying this route. 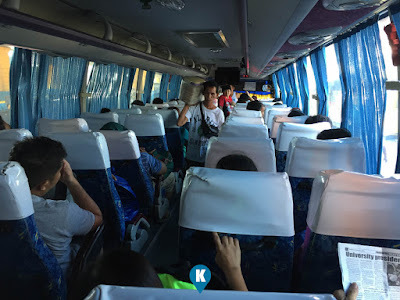 The cost should be Php230 per passenger. Travel time varies but from Cubao, it will take an average of 2-3 hours to reach Batangas Pier. Then pay Php30 as Terminal Fee. Once you reach Sabang, you will have to pay an environmental fee of Php30. 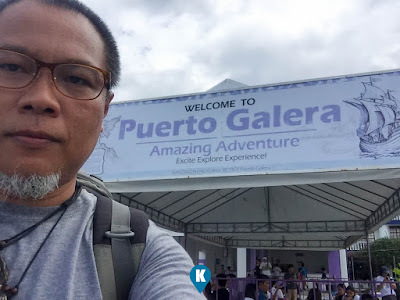 Upon reaching Sabang Puerto Galera you will be met by this big sign. This is their welcome banner to all the tourist a signal to the start of your adventure. Sabang is just a small place and everything can be had on foot. Their main street is lined with lots of people so don't expect barrio type of a scenario. We were here early so there were only a few people on this main street. 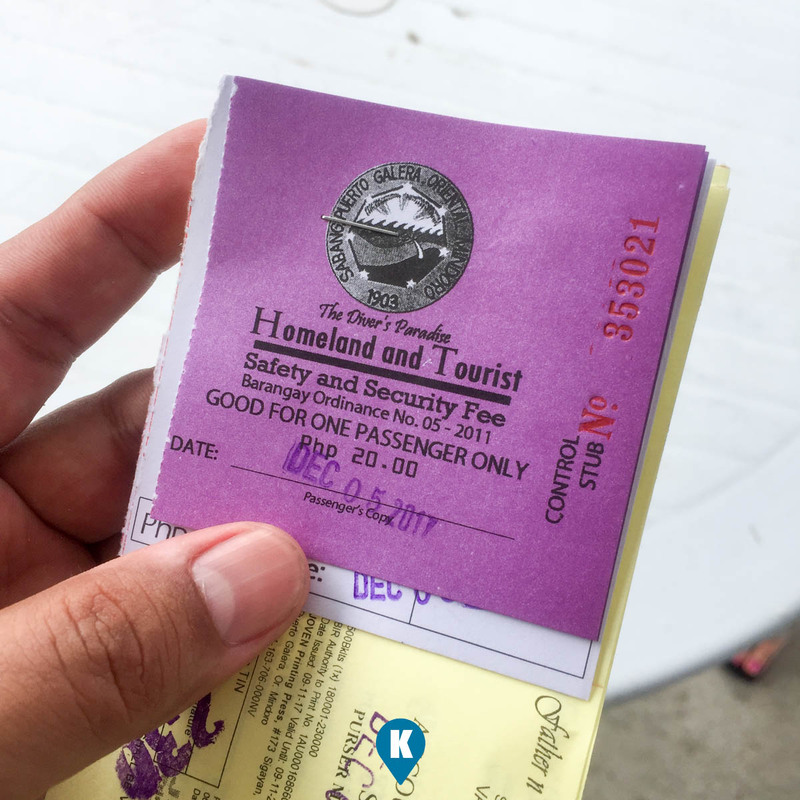 Now should you fancy going to town, Puerto Galera, there's a jeep who will take you there for Php20. 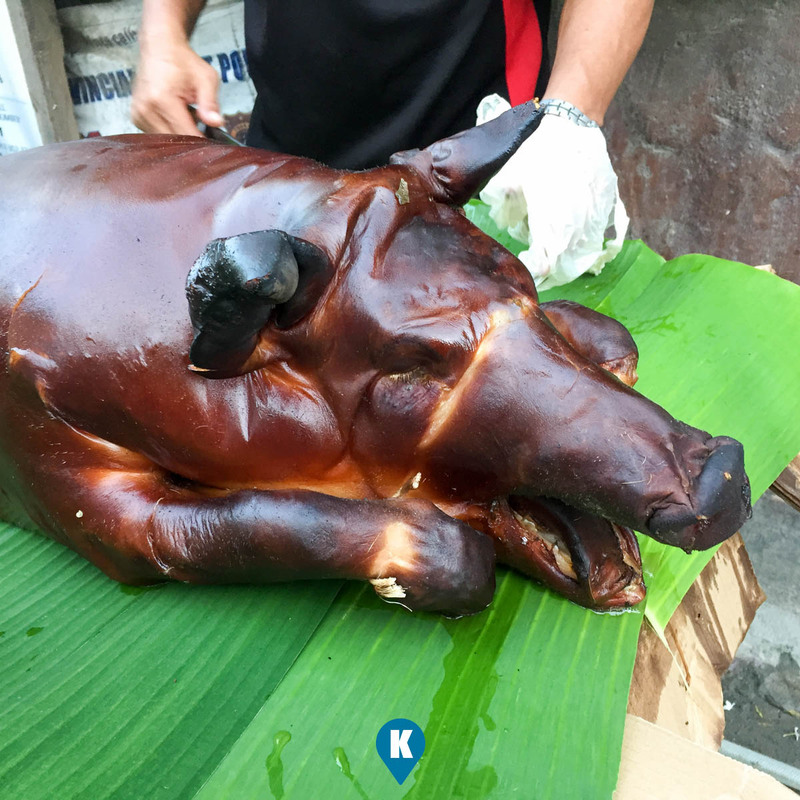 Should you like an adventure, there's a habal for Php50. 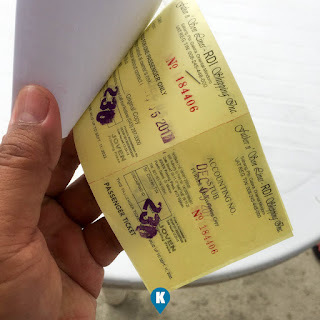 Going around in Sabang using the habal will be Php20 if you dislike walking. Along the main street are a lot of restaurants, stores, groceries and even this, a lechon stand lined up with the calamares and other street foods. Only those along the main street can be done by habal or backriding a motorcycle. Most of the resorts are only accessible by the beach. 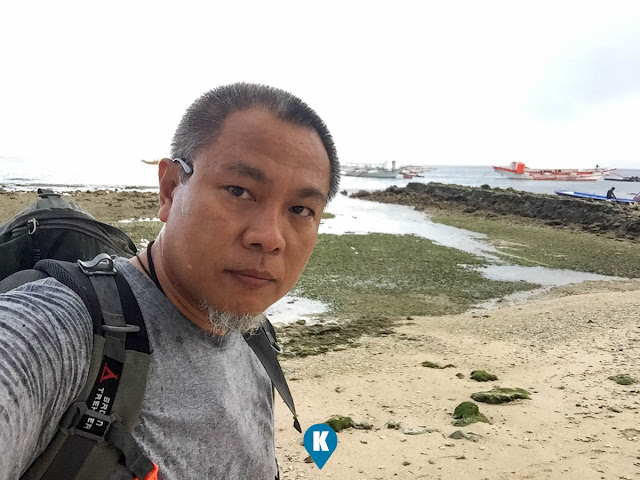 As you can see, most of the strip are lined with rocks so you have to wade or swim only on selected parts of Sabang Beach. Our suggestion is to walk along the Big and Small Lalaguna if you would like to do this. Other parts of the beach are only good for jump off point for boats taking you to the diving spots. This coastal town is well known among tourists for its numerous pocket beaches and many snorkeling and Scuba diving spots. The area was designated a Man and Biosphere Reserve of UNESCO in 1973 and has some of the most diverse coral reef diving in Asia. The marine environment has benefited in recent years due to income from tourism. This has seen a huge reduction in the number of fishermen in the area, as they gain higher revenue from tourists. Puerto Galera is included in the list of the Club of the Most Beautiful Bays of the World, and is the only bay in the Philippines to be found there. 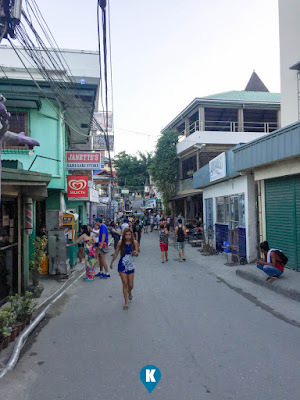 Among the beaches in Puerto Galera are Sabang Beach and White Beach, which have an active nightlife with numerous bars and restaurants. Sabang Beach is the main destination for foreign tourists, while White Beach remains popular with local travelers. Big La Laguna Beach and Small La Laguna Beach are considered part of Sabang with resorts lining the beaches. Big La Laguna Beach is popular for local swimmers and snorkelers. Since 2001, White Beach has seen uncontrolled development. New restaurants and places to stay are rapidly encroaching on the beach itself. The town proper has relatively few attractions. It has a large central Catholic church and a pier area with some dining outlets. Puerto Galera is among the top diving destinations in the Philippines and in Asia. 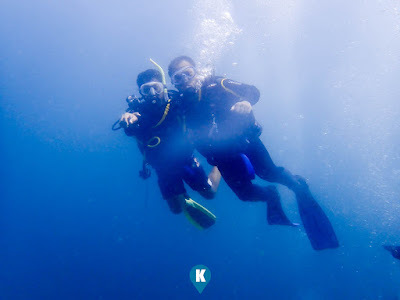 Excellent diving is found less than 5 minutes from Sabang Beach. The diving generally focuses around the areas either side of Escarceo Point. Marine life is highly diverse. 180+ species of nudibranchs are found in the area and many species of fish can be seen. A variety of wrecks have been sunk over the years in addition to the one wreck of an engine of a WWII Japanese patrol boat. 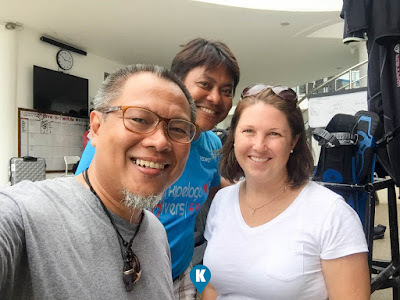 The major diving federations PADI, CMAS, NAUI and Technical Diving International - [TDI] are represented in the area, offering a full range of courses from beginners' open water to advanced and technical diving (rebreather, trimix). Behind the beaches are the huge and generally unexplored mountain ranges of central Mindoro. A particular local attraction is the 9-hole golf course perched on the hillside above White Beach which commands spectacular views over Puerto Galera's natural harbor and the Verde Island Passage. Mangyan tribes are scattered over the mountainsides - some of the more remote tribes have virtually no contact with the outside world. Of the eight tribes on Mindoro, the Iraya are the largest. They are based in the Puerto Galera area. Thanks again to our hosts Arkipelago Divers for making this trip possible. For diving trips, we highly suggest going to Puerto Galera, and ask for Arkipelago Divers, your one stop dive shop. They can hook you up with other side trips in the area like the Munting Aplaya if you like camping and stuff.